The Men's Vibram Lace is lightweight and sensitive due to its microfibre upper and three-quarter outsole design. The upper is wrapped with TPU caging to give great foot support and presents torsional role during extreme edging. The aggressive last means more power can be generated through the toes and even allows you to pull on holds when climbing overhanging routes. 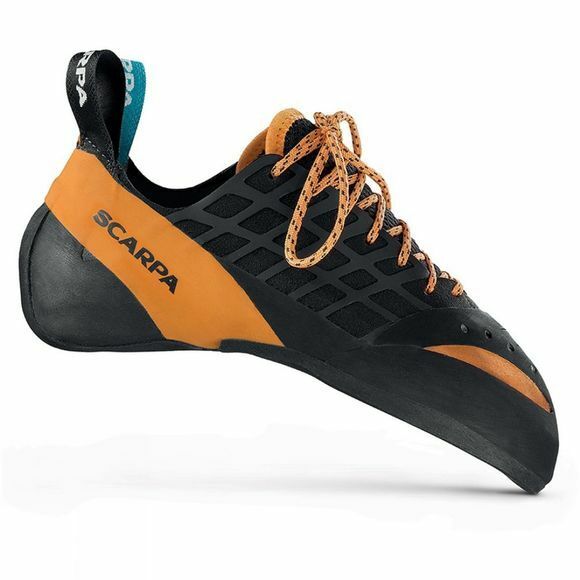 An instinct VS heel cup has also been added to make this aggressive shoe a great piece of gear for sport climbers and boulderers alike.